It finally happened! 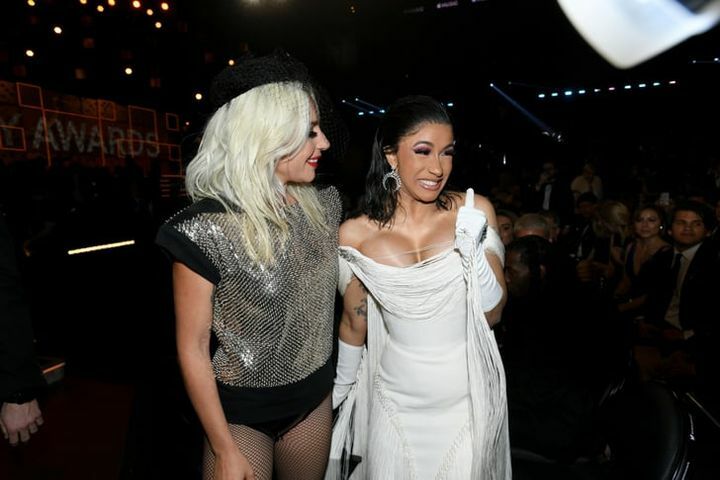 After what seems like an eternity of mutually fangirling over each other via the internet, Cardi B and Lady Gaga met in real life at the Grammys, thus answering our prayers in one fell swoop. 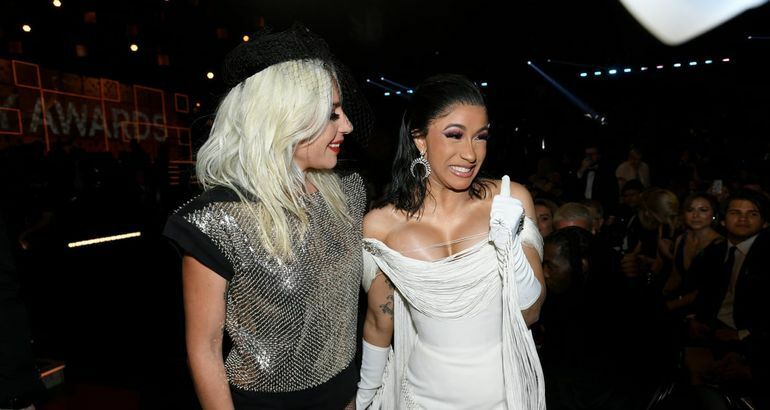 Both stars had pretty eventful nights at the award show — Gaga nabbed three shiny trophies, and Cardi made history as the first solo female to win best rap album — and they celebrated their victories together. The two artists posed for a handful of adorable pictures together after each delivering performances on stage, and honestly, I'm feeling the need to frame all of them because they're just that cute.